The populations of two non-native Dipterans have been established at two Antarctic research stations since at least 1998. Both belong to Sciaridae (“black fungus midge”), and have been determined to the genus Lycoriella. At Rothera Research Station, Antarctic Peninsula, flies are present in the station alcohol bond store, while at Casey Station, on the coast of continental Antarctica, a second Lycoriella sp. is found breeding in the station sewage facilities. Neither species is thought capable of surviving outside the protected environment of the research station buildings, but their establishment highlights the need for strict quarantine controls in order for National Operators in the Antarctic to conform to the Environmental Protocol of the Antarctic Treaty and prevent the introduction of alien species into Antarctica. Protocols for fly eradication are currently being implemented. We would like to acknowledge the help of Drs P. Greenslade (CSIRO) and N. Wyatt (Department of Entomology, The Natural History Museum, London) for examination of specimens of the two fly species, and John Rich in the collection of Casey fly trap data. 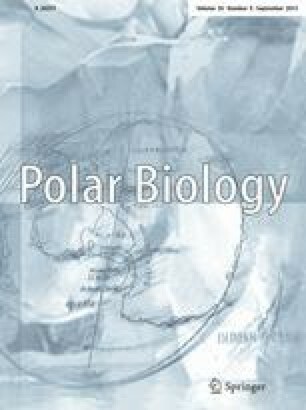 This paper contributes to the SCAR (Scientific Committee for Antarctic Research) RiSCC (Regional Sensitivity to Climate Change in Antarctica) Program, and the British Antarctic Survey’s core project BIRESA (Biological Responses to Environmental Stress in Antarctica).